MTSU Board of Trustees to meet..
June 5 is registration deadlin..
JACKSON, Tenn. — MTSU’s “Take a Closer Look” messaging, a multimedia effort to underscore the many pride points of the university, was recognized by the Tennessee College Public Relations Association as the best overall promotion campaign among the state’s public and private higher education institutions. The Gold Award for the campaign was among the 17 awards that MTSU received in the association’s annual competition recognizing excellence in marketing and communications in higher education entities. The association, at its conference in Jackson on May 25, presented MTSU with four Gold, seven Silver and six Bronze awards in 14 different categories, making MTSU again the most honored institution in the competition. Launched in support of the university’s admissions efforts, “Take a Closer Look” was designed to reintroduce MTSU pride points to prospective students in Rutherford, Davidson and Williamson counties as well as throughout Tennessee. It featured various “Did You Know?” messages about MTSU paired with strong visuals of the campus. MTSU’s four Gold Awards tied Lipscomb University for most top honors given to an institution in this year’s competition. Also landing a Gold Award was MTSU’s marketing and promotional efforts, in partnership with the College of Media and Entertainment, at the 60thanniversary of the Grammys in New York. The university teamed up with the Nashville-based Americana Music Association and the Grammy-run MusiCares Foundation to bolster their events and generate media interest and coverage before, during and after. MTSU participated in the MusiCares Person of the Year award presentation, with students from the College of Media and Entertainment working behind the scenes at Radio City Music Hall. 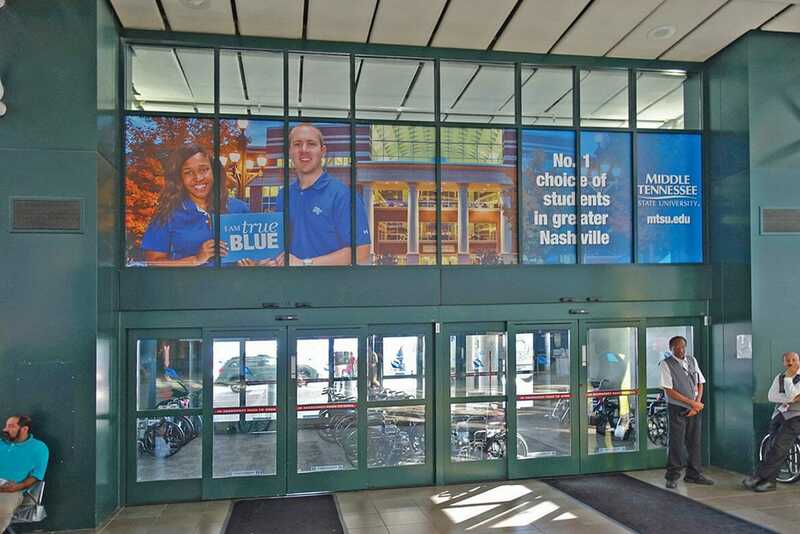 Also noteworthy was the rebranding campaign for the College of Liberal Arts receiving the Bronze Award for Overall Promotional Campaign, meaning MTSU secured two of the three honors awarded in this category.